A 6 year old and one on the way! Well a lot has transpired in the past month since our last update! 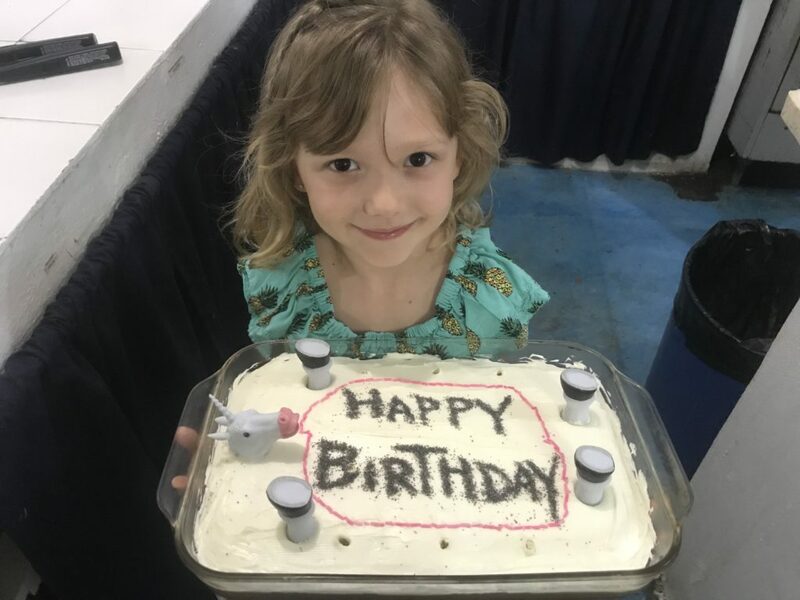 Braegan turned 6 this past Friday (February 8th), she requested a unicorn cake and Jon and Alissa delivered:). 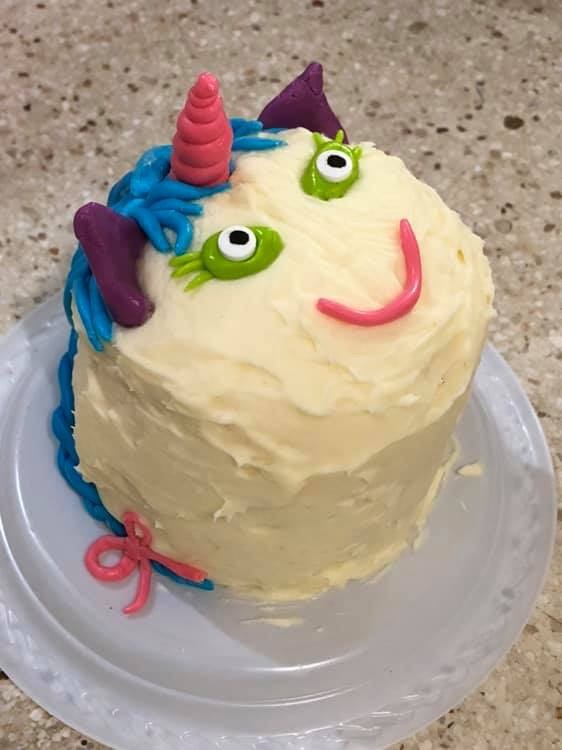 The first photo is of the funfetti cake she shared with the team during dinner on Thursday evening, featuring her very own handicorn. The second cake was her breakfast on Friday morning before we left for Santo Domingo with the team. The inside was layered with 4 colors of cake and buttercream frosting, topped with marshmallow fondant details. 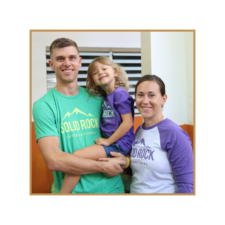 We spent the weekend in Santo Domingo with our outgoing team from Spartanburg, SC, while greeting our incoming team from Hickory, NC. Braegan’s restaurant of choice for lunch was McDonald’s followed by dinner at an Italian restaurant. She can never get enough pasta and pepperoni pizza. A couple weeks ago, we surprised Braegan with the news that she is going to be a big sister. We are expecting our second child at the beginning of August. She was so excited and even now feels like the months of waiting for the baby are way too long! She is excited to find out the gender in a few weeks. In comparison to my pregnancy with Braegan, this one has been much different. I’ve been struggling with major nausea and headaches that last 4-6 hours. I’m praying the symptoms subside sooner rather than later. It’s also hard to believe that spring is approaching, I know many of the midwesterners reading this are beyond excited for warmer temperatures and green grass! We are wrapping up with group 6 of 6 this week. We are looking forward to a 2 week break and a possible trip to the north coast for a long weekend. We have a stateside trip planned for April, and we are looking forward to spending time with family and friends in Indiana and Illinois. In other news our residency was finally renewed on January 15th, and we are legal residents once again for another year! Thank you so much for your continuous prayers and encouragement throughout this process. I told Jeff the other day that it is so nice to have that marked off our list for a while. Next year we will apply for permanent residency! -Braegan is continuing to do well in school, and as we are working through teaching her how to combine letter sounds to create words, she is getting her two languages mixed up. Prayers for patience as we continue to work through this with her.